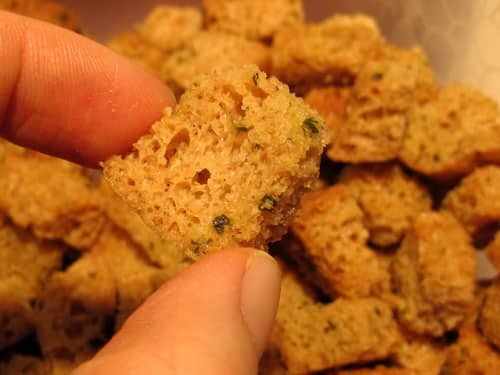 You don't need all that extra stuff to make crunchy, tasty, toasty bread bits. All you need is bread, fat, seasonings and an oven. Preheat oven to 300°F. 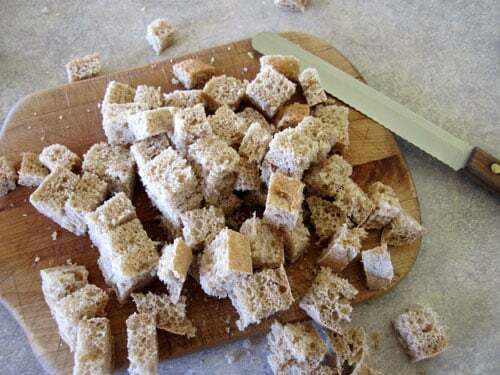 Slice and cube your bread. I slice, stack, and slice again, making cubes roughly 1 inch by 1 inch by 1/2 inch. The cubes will shrink up a little as they are tossed in the oil. Some folks trim the crusts, but we're not that fussy. 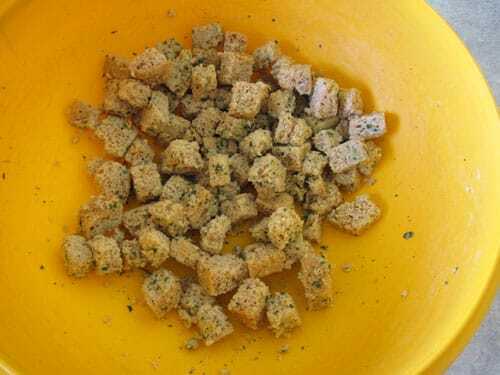 Mix together fat and seasonings in a large bowl, toss bread cubes to coat. Alternatively, some people prefer to paint the seasoned oil on the bread and then slice it, but this seems much more messy to me. 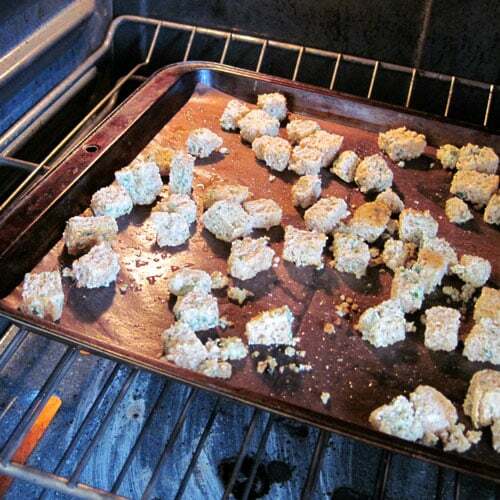 Spread the seasoned croutons on a baking sheet and place in the oven. Bake 30-45 minutes, stirring every 15 minutes or so, until crisp completely through. Taste testing recommended – just don't burn your tongue! Store in a tightly sealed container in a cool dry location for up to a week. For longer storage, keep in the freezer. (The fats will go rancid over time if left out, so eating fresh is best.) I popped mine into mason jars and put some on the salad topper shelf next to the sunflower seeds and the rest in the freezer. 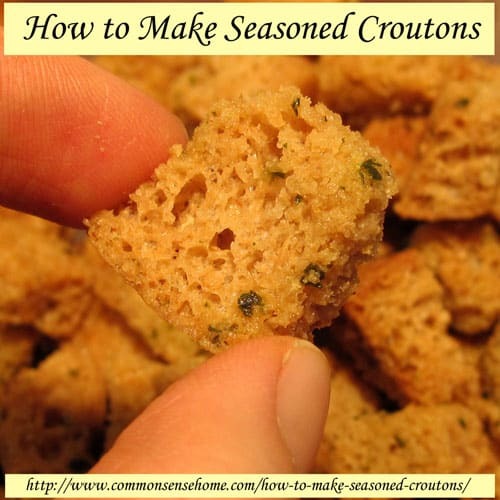 You can also crush these and use them in recipes that call for seasoned bread crumbs. Making these with bread that's a bit stale is just fine, too. And that's all there is to it! One more packaged food item off the list.